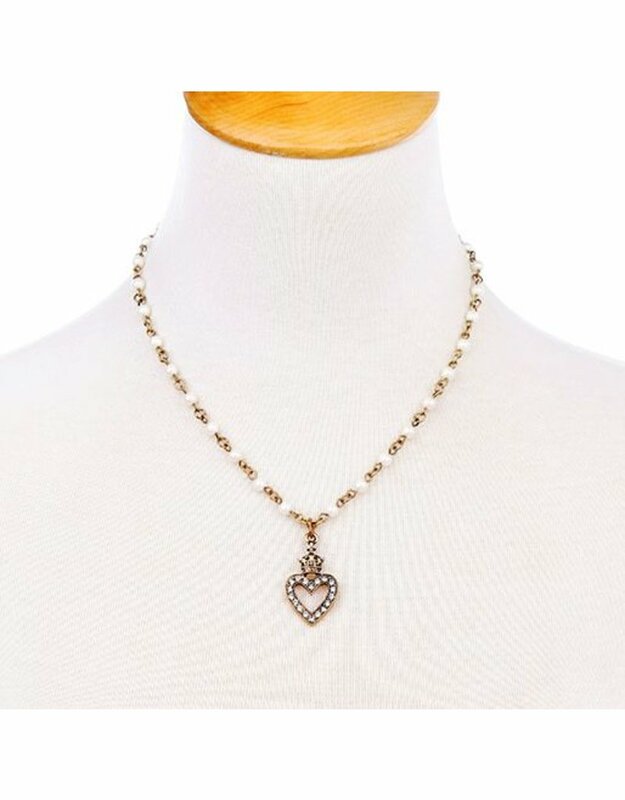 Faux pearls and a gold-tone chain connect to lead to a rhinestone-filled perfect heart, situated under a wee crown. 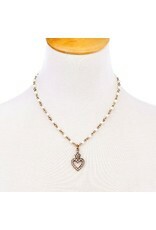 This necklace is reminiscent of a pretty vintage piece and you'll love its bit of sparkle. 18" chain with a 3" extender. Zinc alloy.